Two days ago, word of a locked bootloader on Samsung’s new Galaxy S4 spread across this vast internet thanks to Steve “Cyanogen” Kondik. The outrage poured in, as we have come to expect. Carriers hate us. Well, at least that’s how we perceive these direct attempts at keeping us from doing as we please with a product we paid good money for. We’re sure they have sold or lobbied to the FCC or any number of government agencies on the fact that custom software and unlocked bootloaders will blow up their networks and ruin the experience for everyone, something they likely have no proof for. But, that’s where we stand! Thankfully, we have security specialists like Dan Rosenberg in the community who are willing to donate their time to righting the cause. 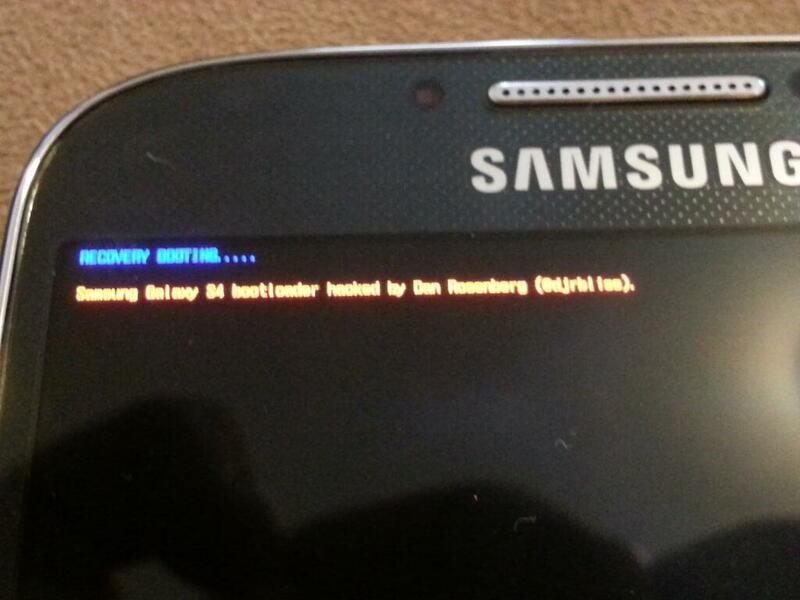 You may know Dan from his work with Motorola devices (unlocking bootloaders) and his recent root exploit for almost all of the Galaxy S4 variants. In a Tweet sent out this morning, he appears to be showing proof that he has unlocked or at least hacked the bootloader of the Galaxy S4. We’ve been told that this method of his will work on “all locked versions” of the device. No word yet on if Dan plans to release a tool to unlock these devices or if he’s just showing off. If his past work is anything to go on, I’d say we may see something before long.